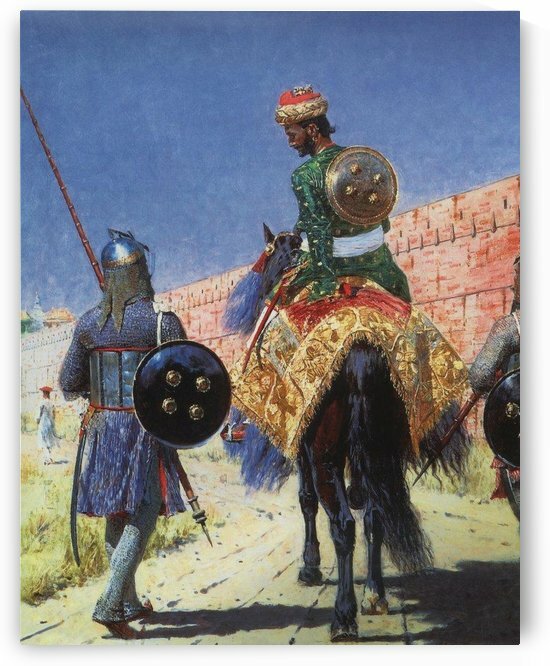 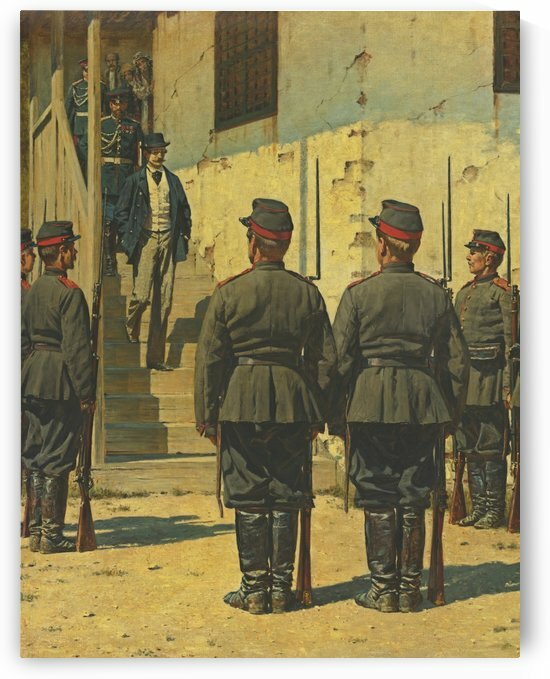 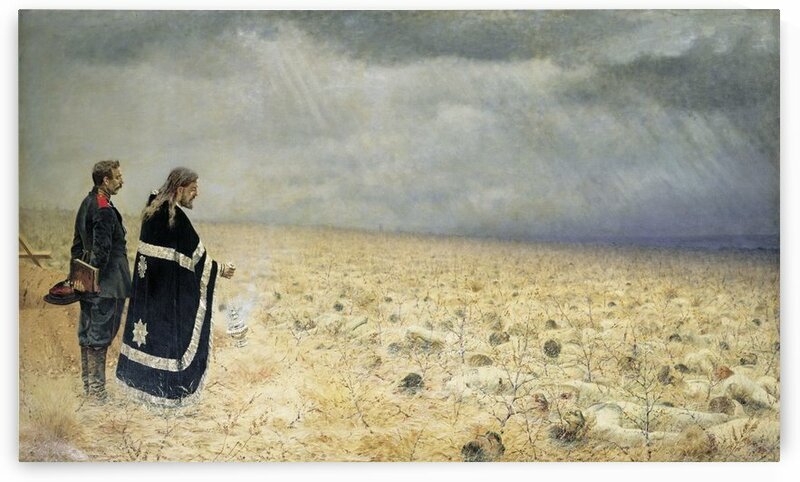 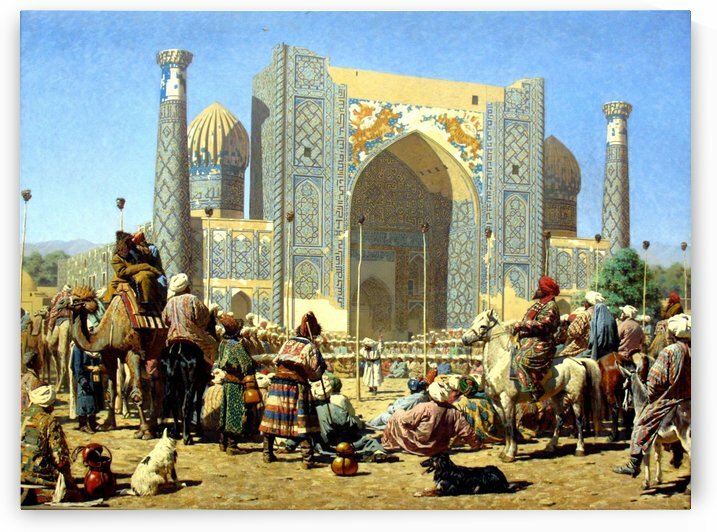 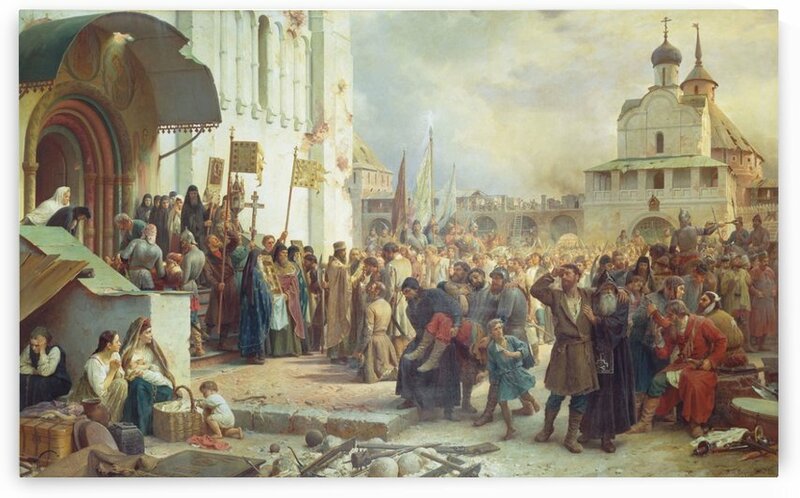 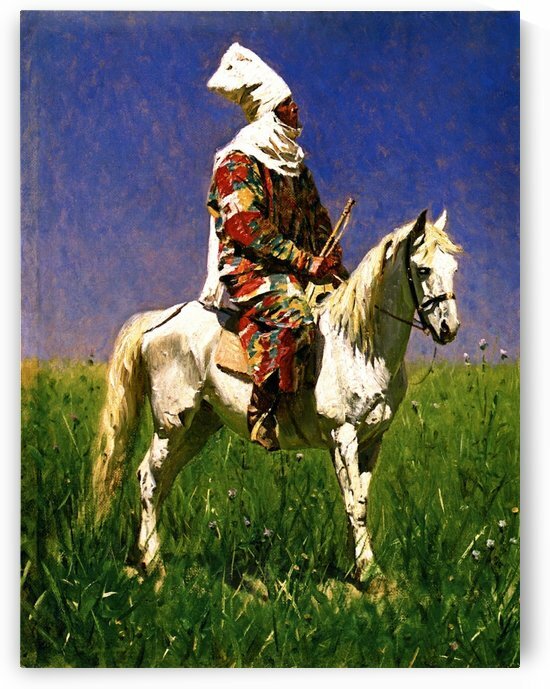 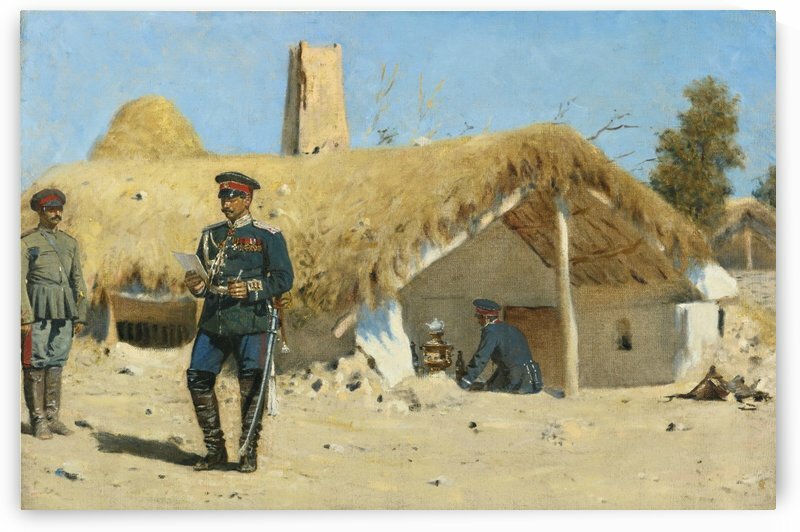 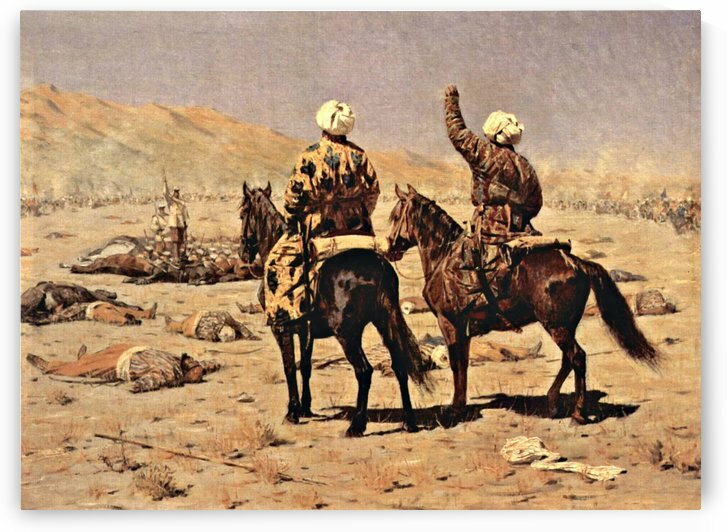 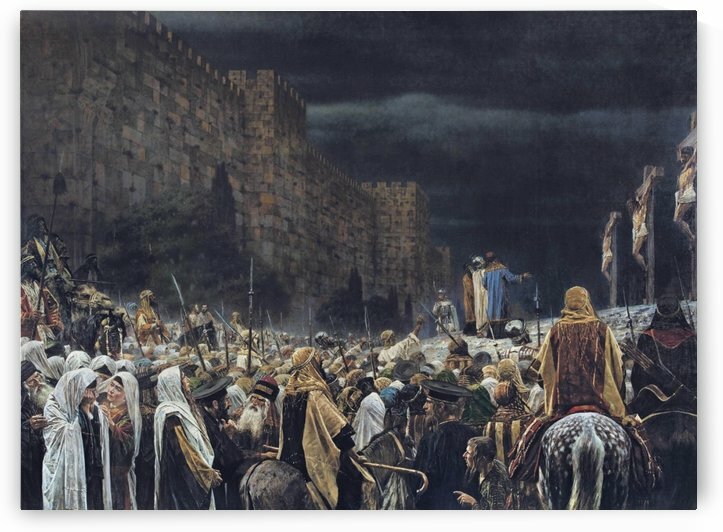 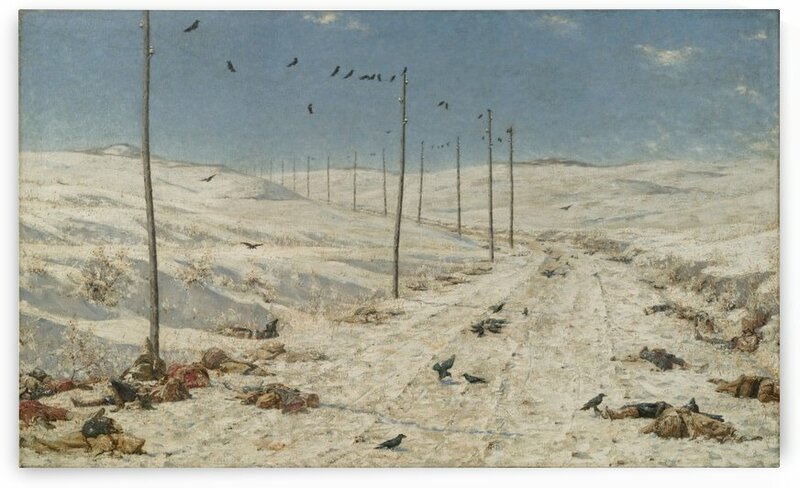 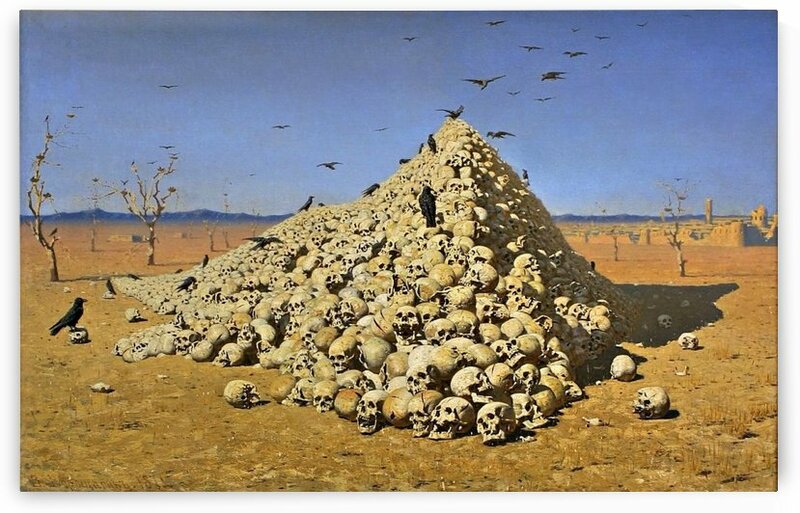 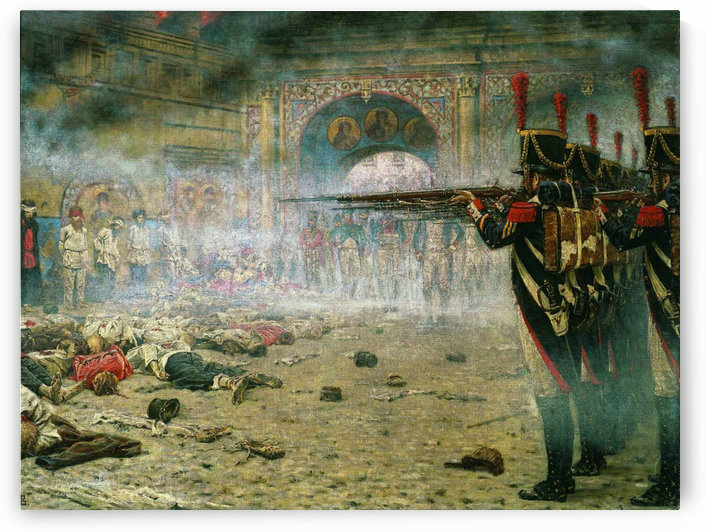 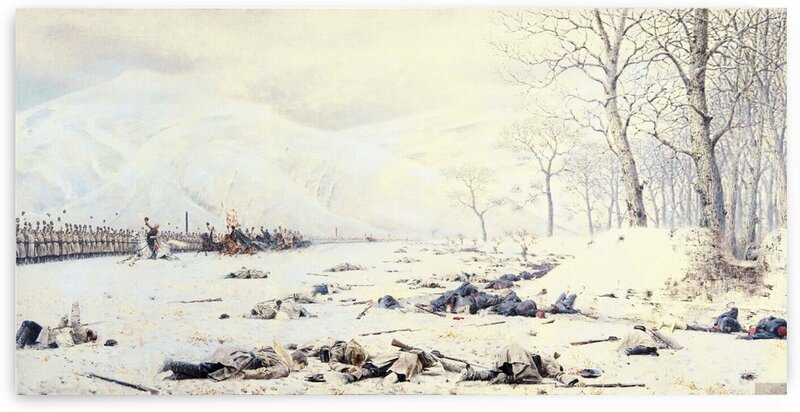 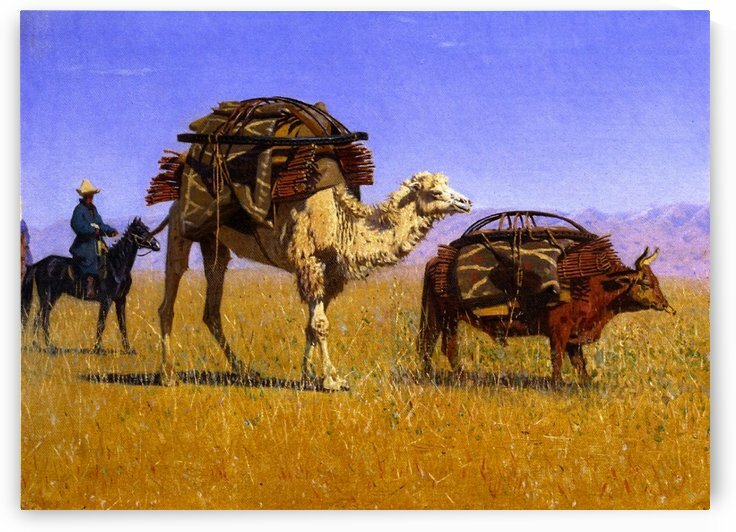 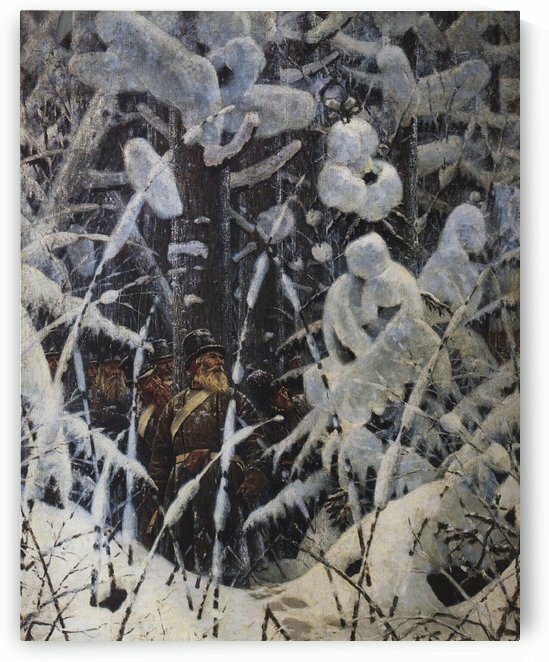 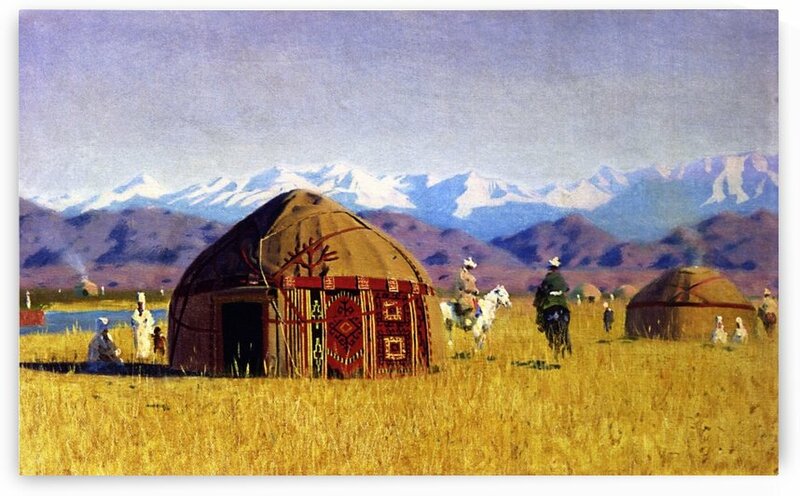 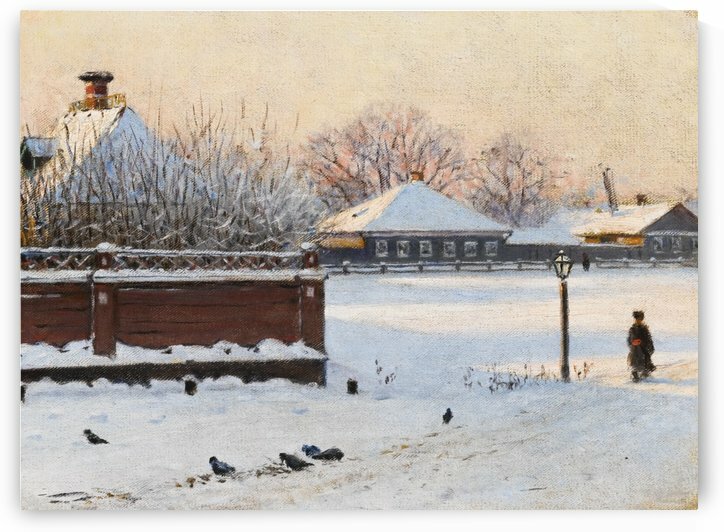 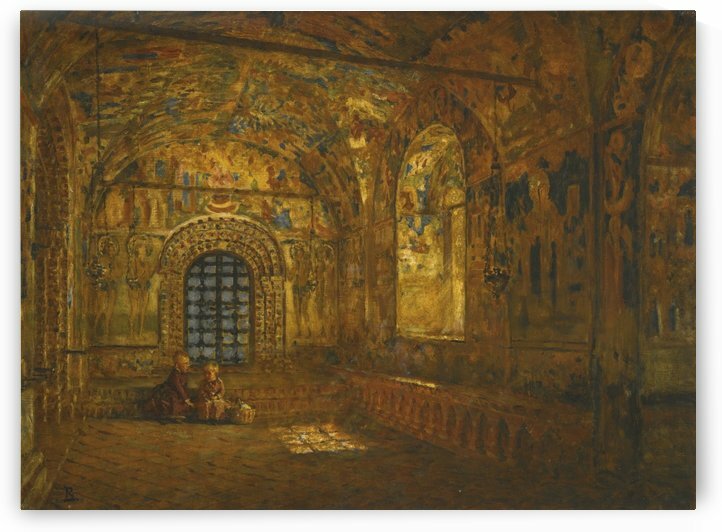 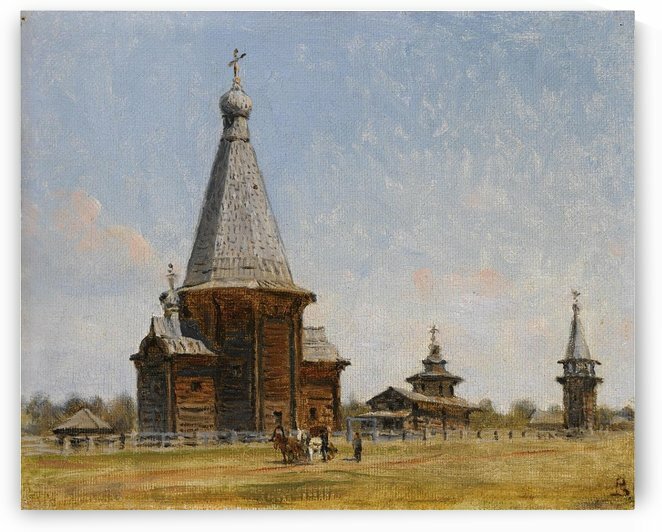 Vasily Vasilyevich Vereshchagin (Russian: , October 26, 1842 – April 13, 1904), was one of the most famous Russian war artists and one of the first Russian artists to be widely recognised abroad. 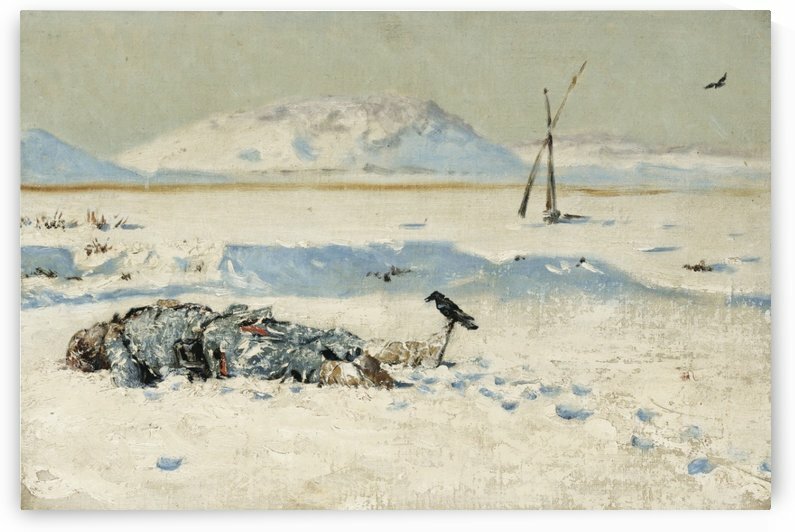 The graphic nature of his realist scenes led many of them never to be printed or exhibited. 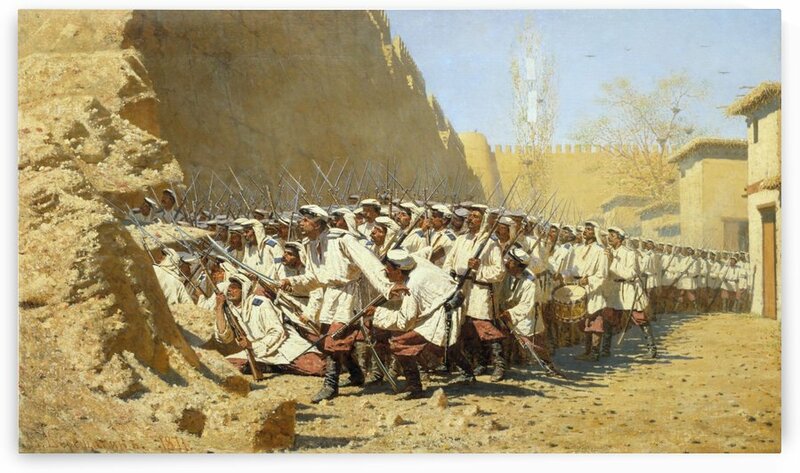 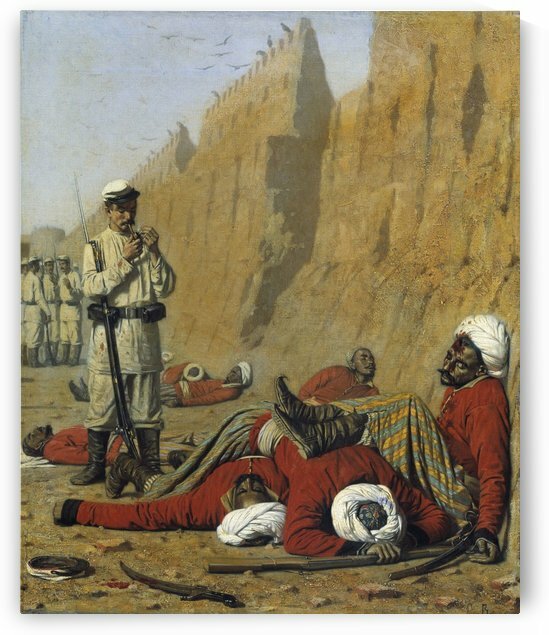 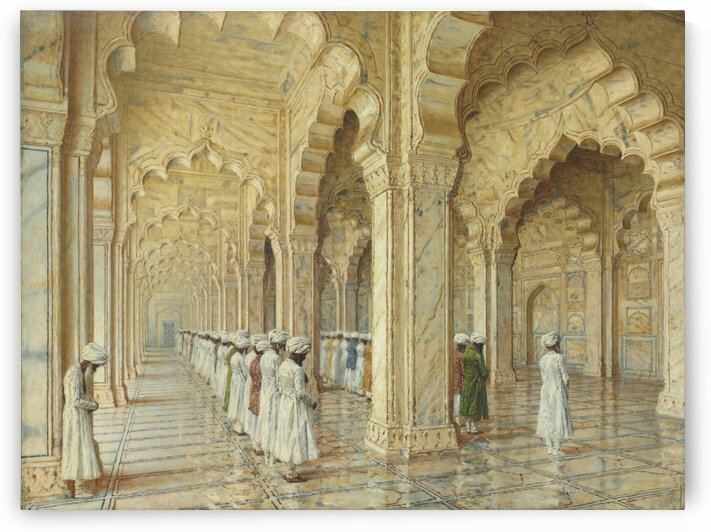 Vereshchagin graduated first in his list at the naval school, but left the service immediately to begin the study of drawing in earnest. 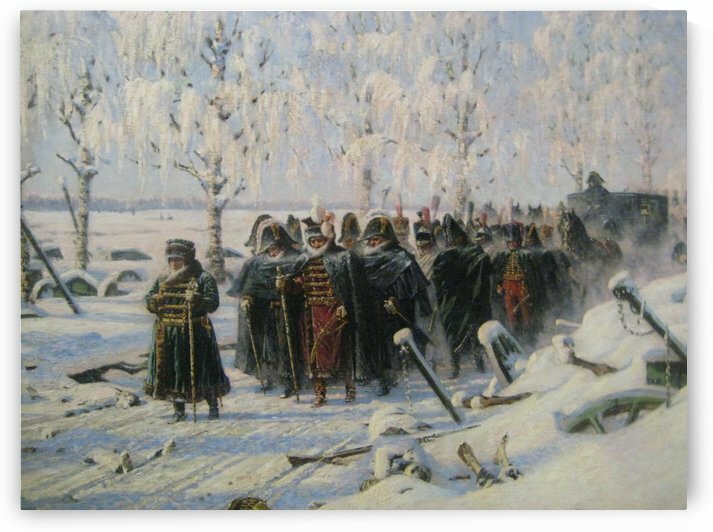 Two years later, in 1863, he won a medal from the St Petersburg Academy for his Ulysses Slaying the Suitors. 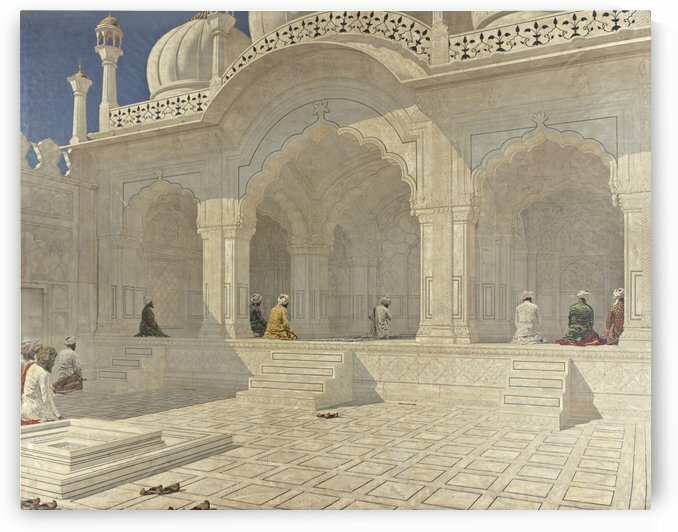 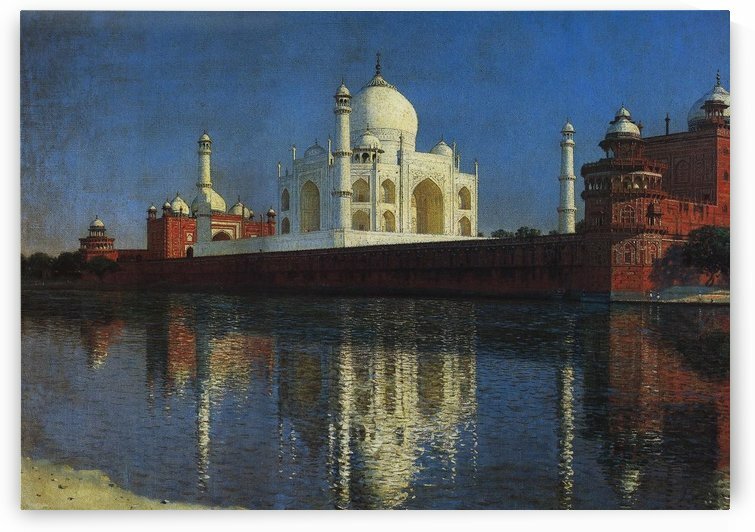 In 1864, he proceeded to Paris, where he studied under Jean-Léon Gérôme, though he dissented widely from his masters methods.